Calm grey layout lets the customers stay online as long as they need to choose the desired product. The page contains three sliders, letting you present tons of different information at the same area in more interesting manner. Left sidebar is dedicated to navigation. Categories and Manufacturers links are available there. Three graphic banners are placed in the right sidebar. 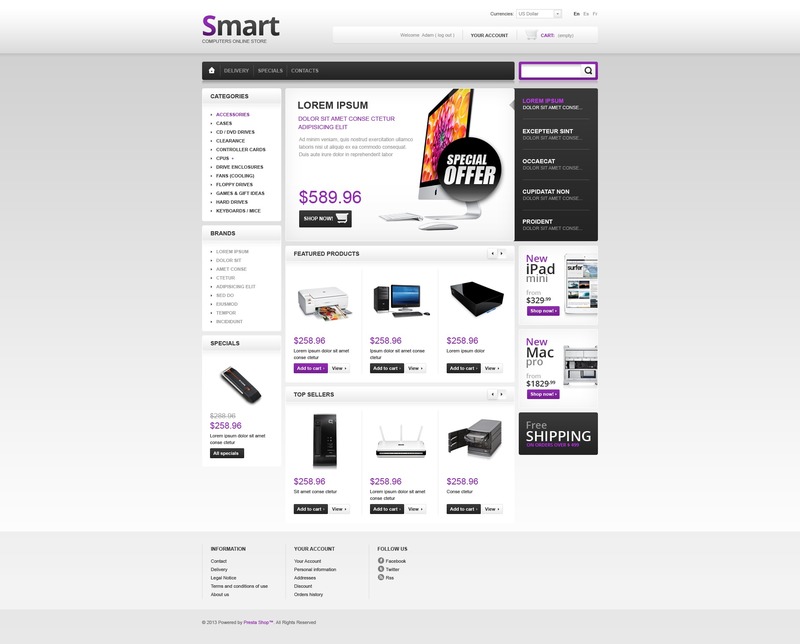 This responsive PrestaShop theme was developed specifically for Computers, Communications, Electronics and Communications online stores.